A 20 km from Montreux and Lake Geneva, easy access from the highway, Torgon gives you access to the Portes du Soleil ski area grad most of Europe. 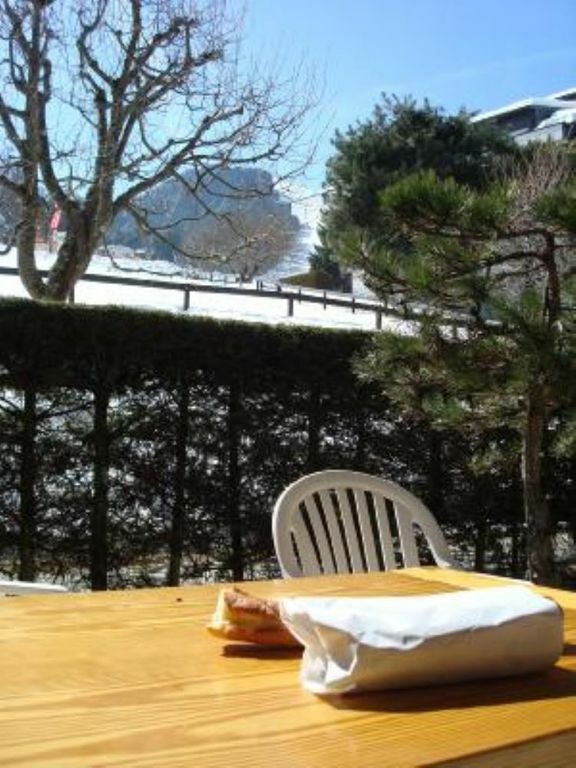 Slope in an apartment with terrace, located south on the pistes, Torgon is also very pleasant in summer for hiking in the mountains of Valais and exits ATV qualité.L 'apartment is located at the ground level roadway. It is fitted with crossing south. Apartment fully furnished and equipped for holidays with family or friends. Thank you very much for your hospitality. We found everything in place for our family vacation in Switzerland. Top Ski Location and small village, good suited for children and for recreation. The apartment is nice and everthing was there and it was fully equipped for families. We would come again. See you, many thanks. Grand appartement avec tout ce qu’il faut pour passer un agréable séjour. Propriétaire très joignable et attentionné. Appartement bien situé et bien équipé, dans une petite station mignonne, tres agréable pour la randonnée et tout près du Lac Léman et de la vallée de Martigny. Alexandra s'est montrée disponible quand nous avions besoin. This was a great place for a couple to stay, beautiful mountains and scenic place. We had a great time and the Owner was very helpful with arrangements. A small note, the road was a bit difficult to drive to this place. But to counter that there is also public transport, for those who doesnt want to drive. Mountain restaurants, entertainment, tennis, mountain biking, hiking or horseback. Thermal baths nearby (Lavey les Bains), castles and museums.